Tonight at 9PM EST/6PM PST, “JEK III Productions” presents a special three guest edition of “The Pugilist KOrner”!! The exclusive presentation will feature expert trainer Joel Diaz, Heavyweight contender David “El Nino“ Rodriguez, and elite level trainer Abel Sanchez. Making his way back to “The Pugilist KOrner” will be the ultra dedicated and always entertaining Joel Diaz, head trainer of Tim Bradley. The Indio, California based fight coach will give our listeners the boxing 411 on Tim’s health, and give us a projection as to when fight fans should expect to see “Desert Storm” back in the ring. 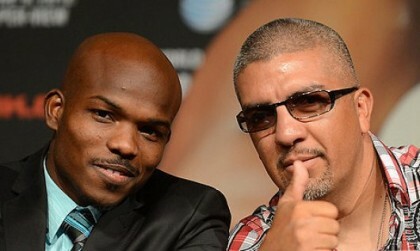 Joel will also discuss recent match-ups, as well as future bouts on the 2014 boxing calendar. 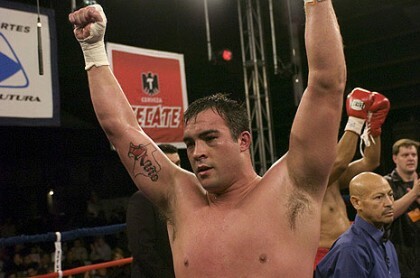 Starting off the second hour of the program, “The Pugilist KOrner” is proud to feature Heavyweight contender David “El Nino” Rodriguez (36-1, 34 KOs). The hard punching fighter will discuss his July 18th bout with Raymond Ochieng for the WBC Latino Heavyweight title, which is slated to take place at the Southwest University Event Center in El Paso, Texas. Closing out tonight’s show will be the always astute, Big Bear Lake fight trainer, Mr. Abel Sanchez. 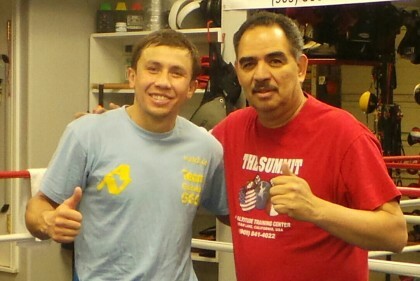 The Summit Gym proprietor will discuss Gennady Golovkin’s WBA Middleweight title defense against former unified 160 pound champion Daniel Geale, which is set to happen on July 26th, at the “Mecca of boxing”, Madison Square Garden in NYC, New York. The incomparable Mr. Sanchez will also give us his take on Miguel Cotto’s stunning title winning effort against former lineal Middleweight Champion Sergio Martinez this past Saturday night.